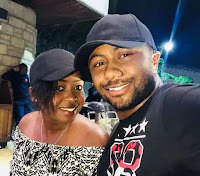 Thursday, February 14, 2019 - Citizen TV presenter, Jacque Maribe, has pulled down all pictures of her murder suspect fiancé, Joseph Irungu alias Jowie, from her Instagram page except one photo. The disgraced journalist with strong political connections has been inactive on Instagram since September last year when she was arrested alongside Jowie for the gruesome murder of Monica Kimani. She would be freed on bail after spending three weeks at Lang’ata Women’s Prison while Jowie is languishing at Kamiti Maximum Prison after he was denied bail. The two love birds turned jail birds were last seen in public together at Milimani Law Courts on December 18th, 2018 where they were seen hugging passionately, leading many to think they were still drunk in love. 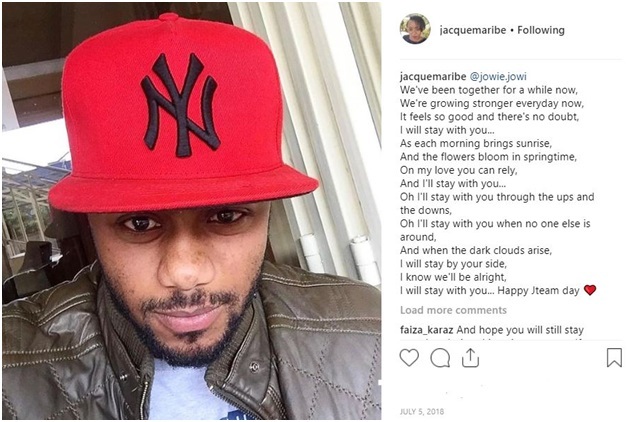 The only photo of Jowie still on Maribe’s Instagram page is a photo she shared on July 5 2018 just after he had proposed to her. She accompanied the photo with a romantic poem professing her undying love for him.